Oh, how beautiful!! Well, it may be winter, but it sure feels like spring here! These colours are lovely - the green and soft pink work very well on a white background. Nice and soft. It seems today's the day to buy oneself some flowers! (I did). Oh, and thank you so much for all of the sweet things you say on my photos. You are such a wonderful person! Love the colours, so soft looking. Very nice. I'm not normally a pink person, but this is really pretty. Beautiful shot of some very beautiful flowers. I know she'll love them. 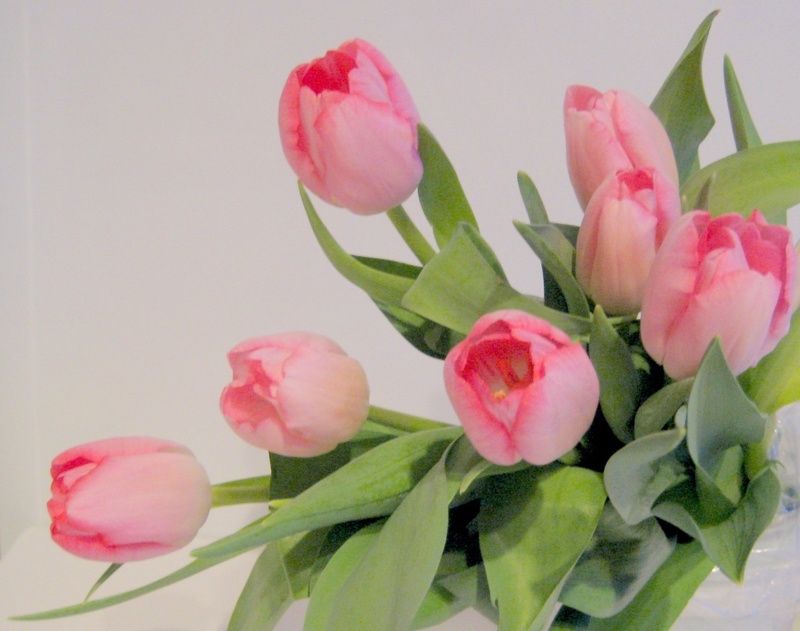 Pink tulips are my favorite....those are like cotton candy....LOVELY! Love your new profile selfie.....nice work!! lucky friend, these are very beautiful. BTW - I really like your new profile photo!